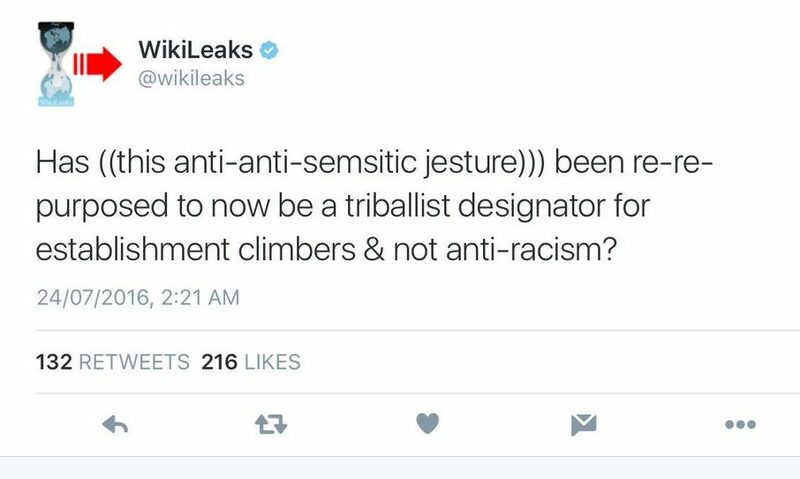 WikiLeaks’ issues with Israel and Jewish people appears to extend into editorial bias. 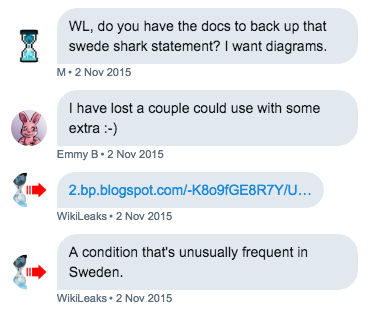 In 2017, WikiLeaks tweeted a link to an article written by the author. 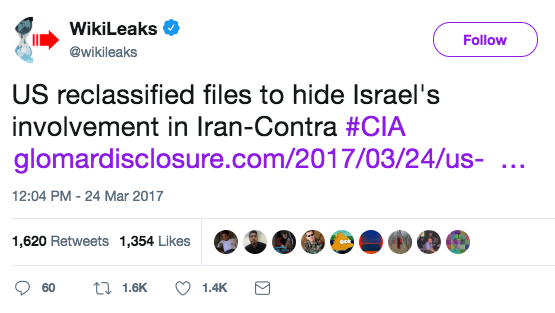 According to WikiLeaks’ tweet, the U.S. reclassified files “to hide Israel’s involvement in Iran-Contra.” This was a misrepresentation of both the article and the documents cited, which clearly showed that Israel’s role was still acknowledged even in the partially reclassified documents. 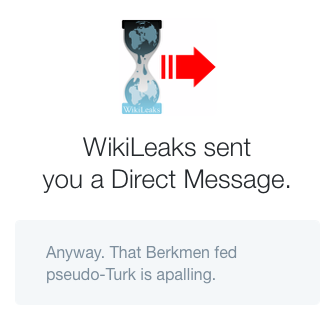 Neither the article nor the source materials ascribed intent to the reclassified documents, and the article explicitly stated that some reclassified information involved “the extent of CIA and Israel’s involvement.” In the context of WikiLeaks’ dismissal of criticism due to connections to Israel, and their repeated antisemitic use of (((brackets))), it’s difficult to accept this as a good faith editorial error. 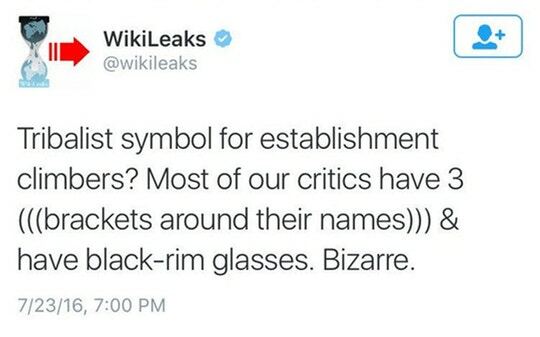 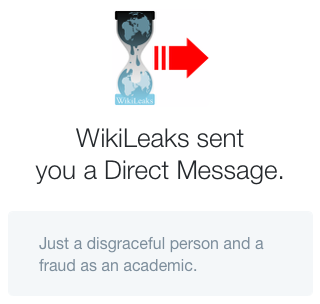 This particular anti-Israel distortion from WikiLeaks’ has received over 1,600 retweets. 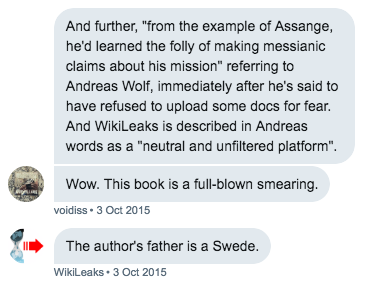 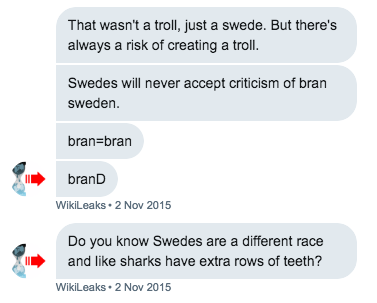 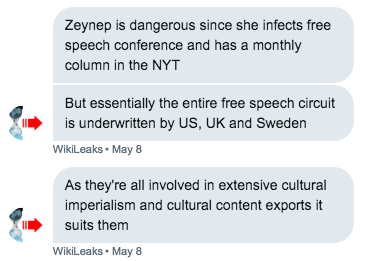 In one instance, WikiLeaks describes Sweden, the U.S. and the U.K. as cultural imperialists that underwrite “the entire free speech circuit,” simultaneously referring to and dismissing Zeynep Tufekci, a critic of WikiLeaks. 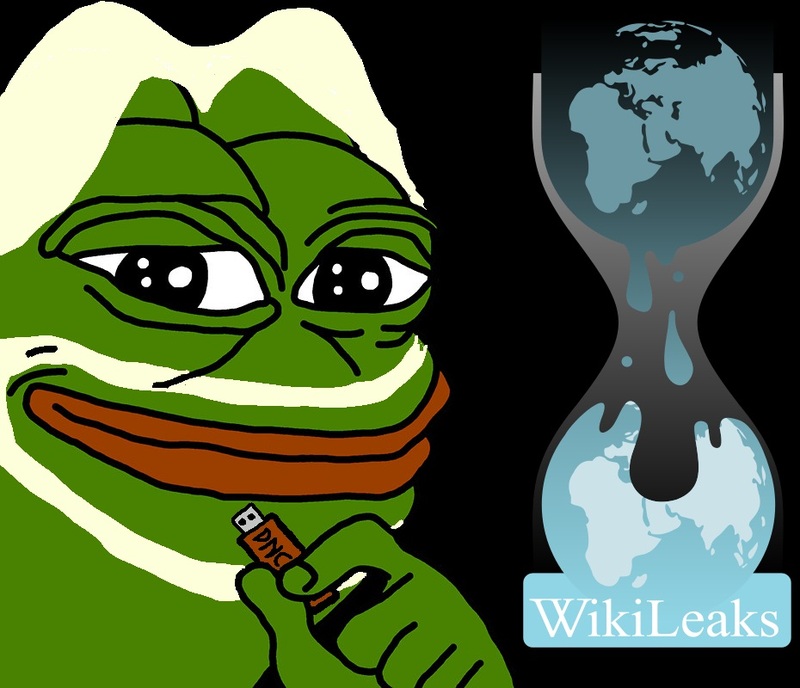 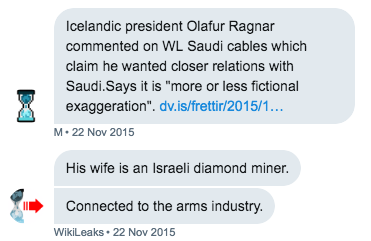 The leaked chats, the author’s own discussions with WikiLeaks and WikiLeaks’ public statements cumulatively paint a picture that’s questionable at best: one in which WikiLeaks distorts and misrepresents facts to cast Israel in a bad light, uses Israeli and Jewish ties to attempt to discredit their critics, and in which WikiLeaks asserts that theirs critics are unreasonable and untrustworthy because of a nationality that makes them “a different race.” While racist thinking would be objectionable on its own, the apparent influence on editorial representations (and misrepresentations) goes beyond what should be considered acceptable for a group that bills itself as a journalist organization dedicated to truth, transparency and a 100% accuracy rate.